The collection of traceability and performance validation data, regulatory compliance and meeting due diligence obligations are essential requirements for your business. However, gathering data efficiently and effectively from your processes can be a challenge. 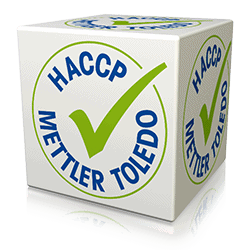 Data collection solutions from METTLER TOLEDO can simplify the process. Safeline metal detectors can utilise a wide range of data collection methods to ensure you always have the correct information available to meet the demands of your business and your customers. From simple plug-in hand-held printers to USB data collection and on to advanced electronic connectivity solutions, there is a Mettler Toledo solution available to suit your requirements. Safeline metal detectors can utilise a wide range of data collection methods to ensure you always have the correct information available to meet the demands of your business and your customers. 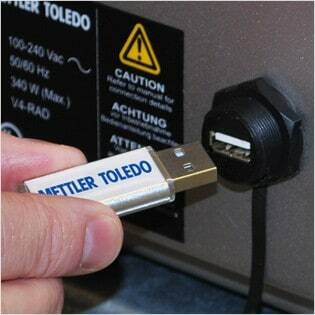 From simple plug-in hand-held printers to USB data collection and on to advanced electronic connectivity solutions, there is a Mettler Toledo solution available to suit your requirements. Safeline metal detectors can be fully integrated with METTLER TOLEDO’s ProdX software solution, which provides data collection for all Product Inspection equipment. Electronic data records are now within the grasp of all metal detector users. Profile and Profile Select metal detectors fitted with a USB port enable memory sticks and flash drives to be used to collect an extensive array of data stored within the metal detector. A USB port can be specified when placing an order for new equipment. Alternatively, the port can be installed as a retro-fittable option to existing equipment. The port enables information captured by the detector to be transferred simply and effectively to computers or other electronic data storage systems. This eliminates the need for paper records and provides comprehensive process data to prove due diligence has been exercised and supports informed decision making to improve processes. 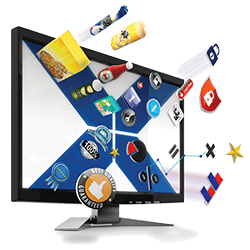 A range of standard reports can be configured including Performance Verification Routine reports, Shift Reports and Print All Settings Reports. All Reports are available in TXT, CSV and TSV formats.